One of the largest and fastest growing personal lines intermediaries in its national market, with over a million customers and major call center operations needed a tool-based, hands-on pricing solution with a seamless link into their call center system. Working closely with Earnix, the client developed a robust pricing process which connected in real-time to the call center software and to the client’s web-based customer interface. This allows call center representatives to feed customer information into their regular quotation interface, and receive optimal price quotes from the Earnix Insurance Suite for any product combination within seconds. 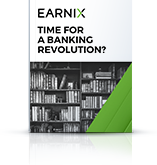 Read the case study to learn how Earnix helped the company improve profit by 3% of premium written while maintaining retention levels.